I’m a proud, life-long card-carrying member of the chicken tender lover’s club. 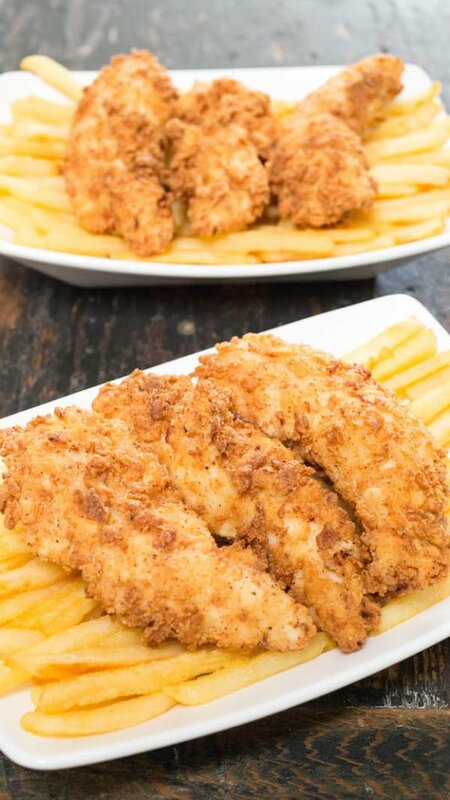 I remember, even as a teenager, my father getting very flustered because no matter what restaurant he took us out to, I order a plate of chicken tenders and french fries. What can I say? Chicken tenders are delicious and you know what you’re getting. They’re always there for you! I don’t eat them quite as often these days, but I do still enjoy a good tender from time to time. It turns out that it’s really easy to make homemade chicken tenders and totally worth it! They come out so crispy and delicious. I can’t think of a better lunch! I wanted my homemade chicken tenders to be coated in the perfect spice. To me, this means notes of pepper, onion, and garlic with a hint of spiciness. I went through several batches until I achieved the balance of taste I was looking for. You can fry these in a cast iron skillet if you don’t have a deep fryer. I like using the deep fryer when possible because it regulates and maintains the temperature really well. 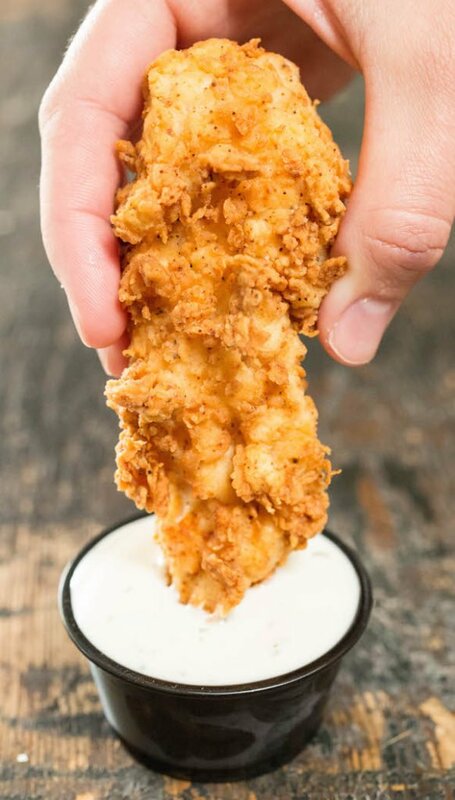 The best part of chicken tenders is the dipping sauce! What sauces do you like to dip yours in? Janette prefers dipping hers in ranch, while I like dipping mine in ketchup/mayo mixture or BBQ sauce. You really can’t go wrong! Place chicken strips in a medium bowl and pour buttermilk over the top until they are submerged. Place in fridge and allow to soak for at least 30 minutes. Heat your deep fryer to 375 F or add 1″ of oil to a cast iron skillet and heat oil to temperature over medium heat. Once the chicken tenders are done soaking, remove them from the buttermilk mixture and dredge in the flour. Turn them over to thoroughly coat each side. 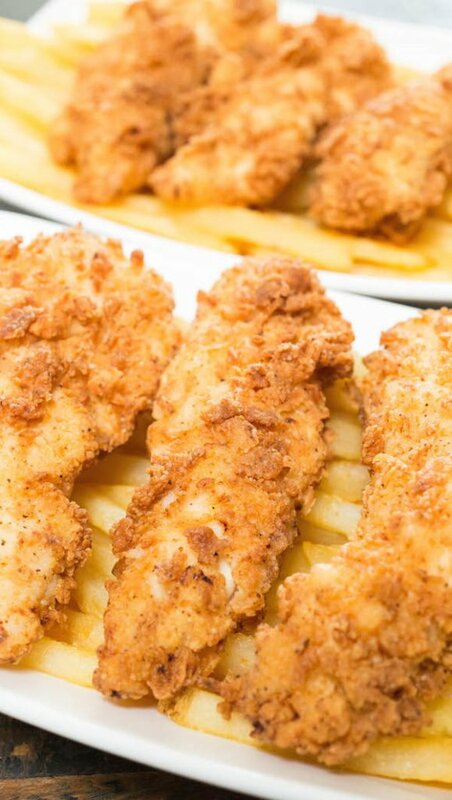 When oil has come to temperature, add the chicken tenders, frying in batches if necessary. Cook them on each side for about 2 minutes, until golden brown and crispy. Serve immediately with your favorite dipping sauce and french fries. Could these be made in the airfryer? And heat temp and time ? Thanks! I have never cooked with an air fryer so I wouldn’t know how to adapt the recipe. Maybe ask in an air fryer Facebook group?